Sacramento, California: What to do and Where to Eat! Sacramento is more than just California’s capital city, and the home of the Sacramento Kings, it’s also a great place for fresh seafood, beautiful scenery and “touristy” shopping in historical Old Town Sacramento. 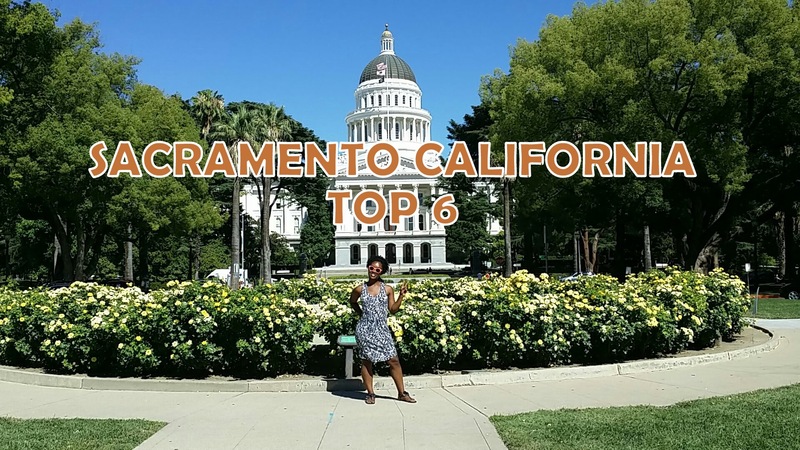 After spending a very short 72 hours in town I’ve comprised my “Top 6” things to do and eat in Sacramento, California! Old Town Sacramento is just one of those places you have to visit, at least once. The district of Old Town Sacramento harkens back to the city’s Gold Rush era, with wooden sidewalks and wagon rides. There are tons of little “nick-nack” stores, eateries and ice cream shops along the historic, 28 acre attraction. I fell in love with Old Town Sacramento because at every turn there was something different to see, taste or buy. Old Town reminded me of Martha’s Vineyard. I love that place too! If you’re into sweets, specifically candy and brittle you have to visit places like Candy Heaven and Sacramento Sweets. I’d never seen such an assortment of nut brittles, like the ones at Sacramento sweets! I overheated from the excitement, and had to step outside to regain my composure. My husband bought a small bag of the peanut and mixed nut brittle. It was perfect for our late night snack attacks. You can also find “Sacramento, California’s Best Bloody Mary” at Old Town’s River City Saloon. I take the words “Best something” ” as a challenge! I must know for myself whether or not something’s really “the best”. River City Saloon’s Bloody Mary was pretty darn good. A perfect balance of booze and spice is always nice. Note: River City Saloon is a real BAR, you either sit at it or the little 2 person tables; consisting of (1) wooden barrel and (2) old school, church kitchen chairs. They have an air hockey table in the back, and with that being my Olympic sport of choice, I had to get a game or two in. Midtown Sacramento’s University of Beer happened to be located on the same street as our AirBnB. I can easily say the experience made a lasting, first impression. If you’re a craft beer nerd like me, then their assortment of over 100 beers on tap will be of intere st to you. They had this cool little tablet that made sorting through their beers a little easier. We took a seat at the bar and ordered a $20 beer flight and some of their famous “Beer Battered” Cheese balls. Balls of molten cheddar cheese, jalapeno and bacon, battered in their signature craft beer batter. They were super cheesy and the house batter made for some perfectly crisp couple of bites. They have an outside patio great for enjoying the breeze… well to us it was a breeze because it’s hot as heck in Houston! To the locals it was a “warmer” day with a high in the 80’s. Baker’s Donuts are making quite the name for themselves on Sacramento’s “craft donut” scene. We were thumbing through Sactown Magazine and came across an article on the “Best Doughnuts” in the city. There’s that word again. The next morning we were on the road headed to Baker’s. Their Instagram page had images of “July 4th” themed Doughnut holes, that would make for a great holiday post. Of course we couldn’t leave without trying a couple of their craft donuts. They looked so good, it was hard to decide what to go with. I suggest you try whatever looks good to you, but you can never go wrong chocolate and nuts! Crawdads on the River is a contemporary eatery with a riverfront patio offering seafood, Cajun fare & cocktails in lively digs… and when they say “lively” they clearly mean it! We did dinner for the 4th of July and arrived to our seats at the bar around 6:00 pm. It was immediately obvious that the party started HOURS earlier at the bar! Crawdads overlooks the Sacramento River, offering a great seat for boat watching. The menu provides ample variety if you love fresh seafood. Chef Bryce Palmer knows his way around a kitchen because everything we ordered was outstanding. Our meal started with “Crawdad’s Bread.” A crispy sourdough baguette topped with mornay sauce, and covered in melted Mozzarella & Parmesan cheese, served with marinara. We were off to a great start! The Mussles with Chorizo knocked our socks off. Fresh PEI mussels tossed in their house made chorizo, pickled peppers, wine and garlic served with grilled bread. The mix of spices and juices in the bottom of the bowl was excellent for dipping my bread. The calamari and Fish & Chips are also both worth a try. I like my fried fish to have a good crunch and I got that here. You can’t leave with out trying the Original Crawdad Cocktail, the “Mardi Gras.” A Frozen Concoction Of Reykna Vodka, coconut rum, guava & a float Of Bacardi Select. You only need 2 of these bad boys for a good time! If you have a couple of hours to spare and are looking for something free to do, why not tour the state capitol. The California State Capitol Museum is open everyday until 5 pm, and is a great way to learn all about Sacramento’s rich history. This should be added to the itinerary if you’re traveling with the kiddos, because the museum has a “kids’ zone” just for them!